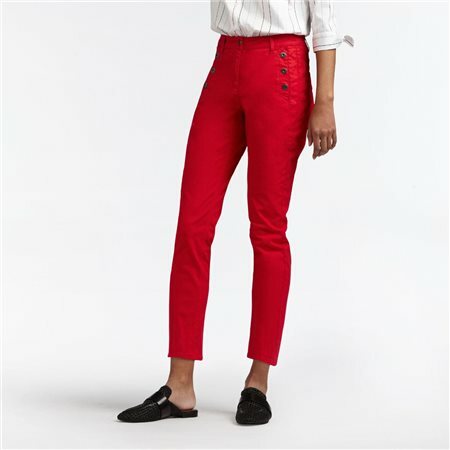 Create an eye-catching look with these trousers. The trousers have a contoured fit and a high waist. The buttons on the side lend the trousers a maritime feel. These trousers are easy to combine with a striking print.